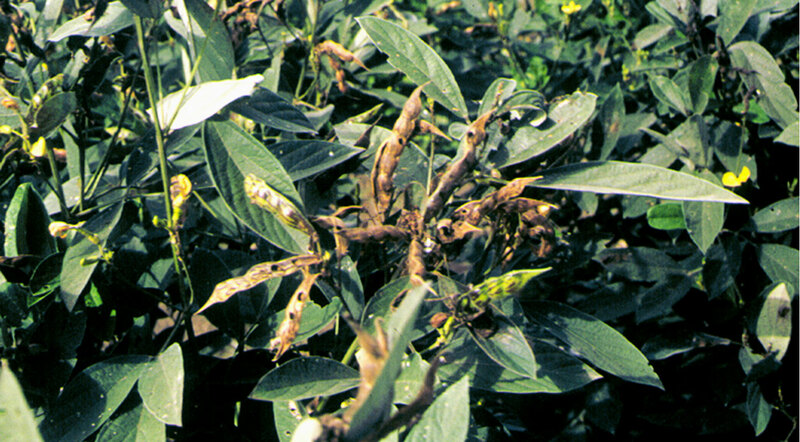 Recently, scientists found that more frequent flooding caused by storm and rainfall along with erratic temperature are responsible for the resurgence of phytophthora blight, a devastating disease that weakens pigeonpea stems irrespective of soil types and cropping patterns. With climate change, new invasive pests and changes in the farming landscape, strategic pulses like pigeonpea can dramatically fail. 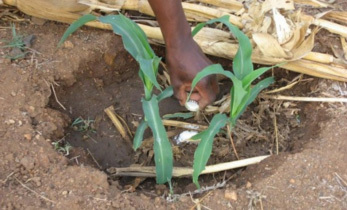 Crop breeders race against time to develop varieties that can adapt or withstand new risks but are sometimes at a loss to find appropriate traits from the pool of cultivated germplasm. However, their distant cousins (crop wild relatives) may harbor the qualities needed by the food crop to cope against emerging threats. Pigeonpea is an important pulse cultivated mainly in rainfed marginal lands of Asia, Africa and the Americas on 5.41 million hectares with an annual production of 4.49 million tons (FAO, 2016). 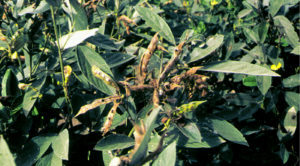 India alone accounts for 72% of the area and almost two thirds of the global pigeonpea production. One main reason yields are low is because varieties grown by farmers are no longer resilient to recurrent or new diseases like phytophthora blight. The insect pest, Helicoverpa armigera Hübner, commonly known as the ‘pod borer’ continues to be a threat to all grain legumes. Soil salinity is another constraint to pigeonpea productivity which impairs seed germination and plant development as domesticated pigeonpea has unfortunately lost much of its genetic diversity to tackle these issues. Untouched by humans, wild relatives of domesticated crops have adapted to harsh environmental changes and have developed resistance/tolerance to diseases, insect pests and climate extremes. 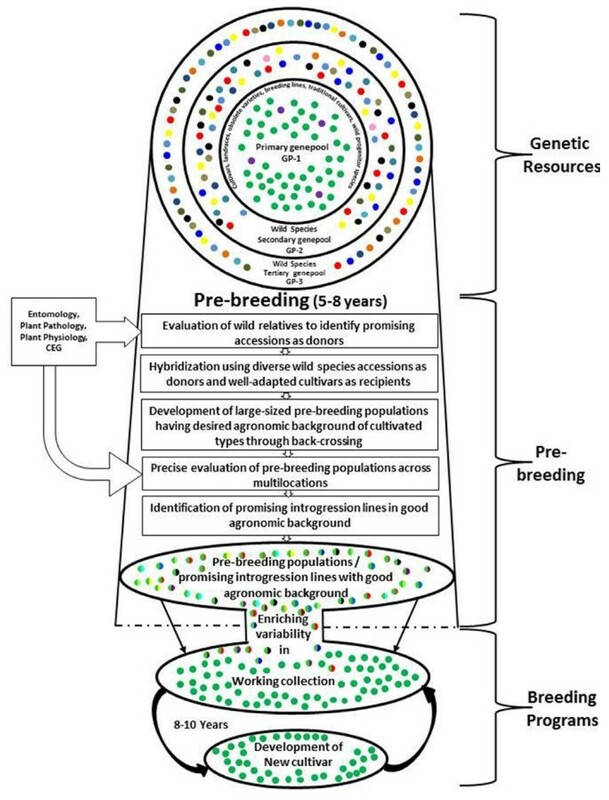 These attributes can be harnessed from the wild relatives and crossed with domesticated crops to develop what plant breeders call pre-breeding introgression lines (ILs), aiming at creating new varieties that are high yielding and more resistant to extreme climate. 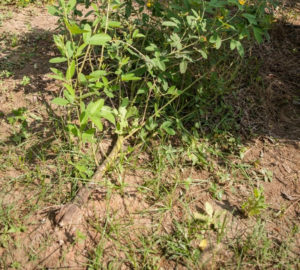 With an evolutionary distance of over 3,500 years, crossing wild relatives with domesticated pigeonpea is a delicate affair and calls for an intervention by a meticulous “plantsmith”. First, desirable traits from crop wild relatives need to be identified. Then suitable domestic recipients have to be selected for crossing. In pigeonpea, “The bottleneck is due to cross-incompatibility between cultivated and wild species, the likely transfer of undesired traits (linkage drag), and sterility in interspecific crosses, thus making it difficult to directly utilize wild species in breeding programs,” explains Dr. Shivali Sharma, Theme Leader – Pre-breeding Genetic Gains Program, ICRISAT. Overcoming this bottleneck is an arduous and time-consuming (8-10 years) process which has kept the benefits of crop wild relatives under-explored and out of most crop improvement programs. 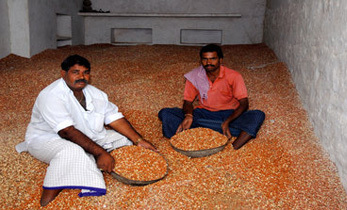 At ICRISAT, scientists engage in ‘pre-breeding’, offering a unique platform to enhance the utilization of genetic diversity from crop wild relatives for the genetic improvement of legumes (pigeonpea, chickpea and groundnut) and cereals (finger millet and pearl millet). 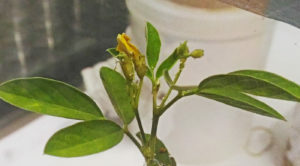 For pigeonpea, considerable genetic diversity is present in the genus Cajanus and 562 accessions belonging to 68 wild species of Cajanus and related genera are conserved in ICRISAT’s RS Paroda Genebank. These wild species not only exhibit resistance/tolerance to phytopthora blight, pod borer and salinity but also offer desired traits such as early flowering, high number of seeds per pod and high seed protein content. Using advanced backcrossing- a scientific method to transfer desirable traits from wild relatives into domesticated varieties, ICRISAT pre-breeding scientists have successfully developed several populations from wild species: Cajanus cajanifolius, C. acutifolius, C. scarabaeoides, and C. platycarpus. 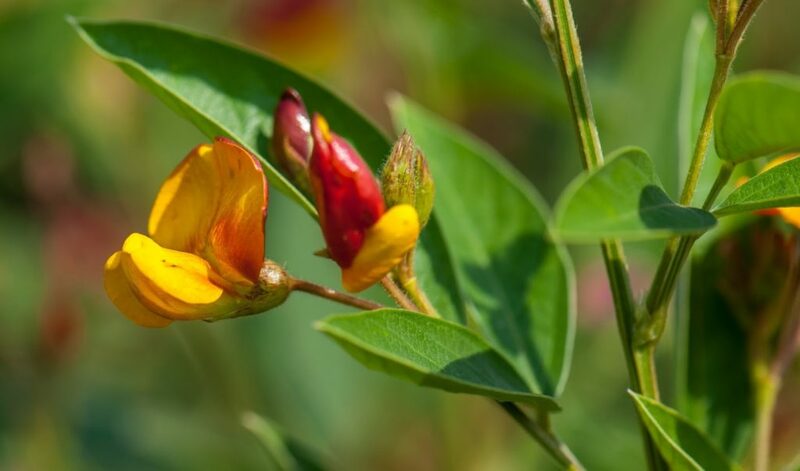 Shivali Sharma’s team in collaboration with pigeonpea breeders has evaluated these pre-breeding populations and identified promising high-yielding introgression lines (ILs). These are being further evaluated across locations in collaboration with National Agricultural Research System (NARS) partners in India. 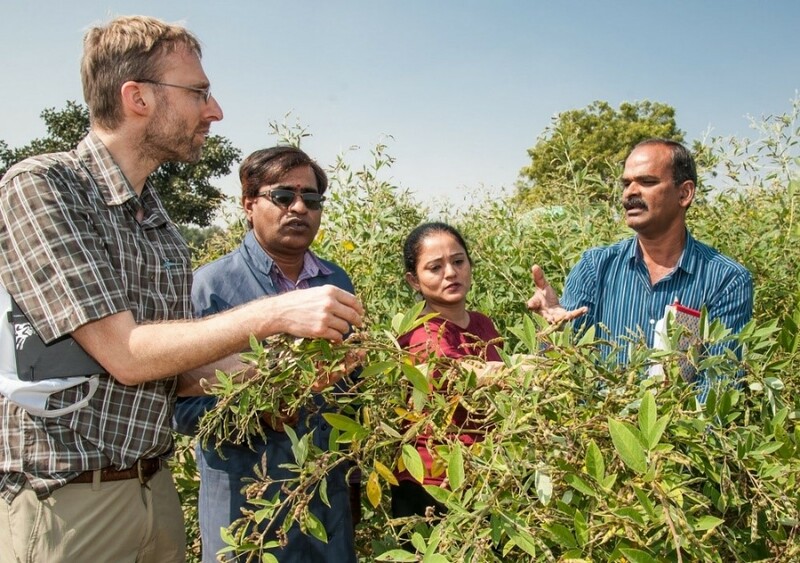 “Some of these pigeonpea ILs (ICPL 15028, ICPL 15036, ICPL 15042, ICPL 15048, ICPL 15061, and ICPL 15067) have been included in the Initial Varietal Testing (IVT) of the All India Coordinated Research Project (AICRP) on pigeonpea across different locations in India. 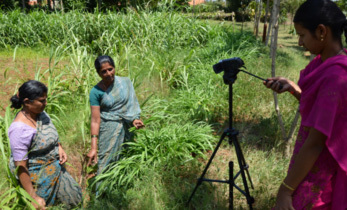 One specific line – ICPL 15028 – has exhibited resistance to three major diseases: sterility mosaic disease, wilt and phytophthora blight, and as a result it is now being used as a donor in national crossing programs of India for developing new disease-resistant varieties,” adds Dr Sharma. The team has also identified promising lines to combat phytophthora blight and salinity. These lines have already been shared with the Regional Agricultural Research Stations (RARS) in Tirupati, Andhra Pradesh and Warangal, Telangana, for on-field testing. 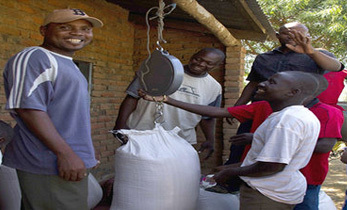 Farmers regularly visit the field trials to make their own assessment of the new varieties and discuss with scientists. 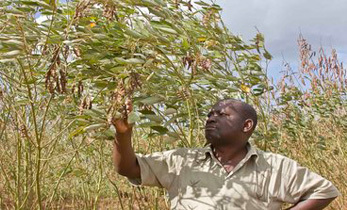 “We planted 23 ILs obtained from ICRISAT along farmer-preferred pigeonpea check lines. We are very excited to see the results. The newly developed lines resulted in 10% more yield compared to the popular variety. 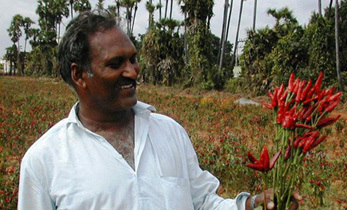 They are not only early maturing and require less space but also have very long shooting branches with more pods, thereby increasing the overall yield,” says Dr Jagan Mohan Rao, Plant Breeder, RARS-Warangal, one of the NARS partners. These are being evaluated across multiple locations in different agroecological zones to identify stable high-yielding lines. “Next year, we will scale-out the trials using the most stable line at the national and state level to conduct advanced varietal trials – an essential part of the new varieties release process,” adds Dr Rao. Further research on transferring pod borer resistance traits from the wild Cajanus species into popular pigeonpea varieties is currently in progress at ICRISAT. “It is critical to bring in beneficial traits that are not present in the domesticated crop genotypes and the pre-breeding work at ICRISAT is highly impressive,” says Dr Benjamin Kilian, Plant Genetic Resources Scientist from the Global Crop Diversity Trust while visiting the pigeonpea pre-breeding trials. The three-year research project on pigeonpea improvement is supported by the Government of Norway and managed by the Global Crop Diversity Trust and is implemented by ICRISAT in collaboration with NARS partners at RARS-Professor Jayashankar Telangana State Agricultural University, Warangal, Telangana; and RARS-Acharya NG Ranga Agricultural University, Tirupati, Andhra Pradesh.